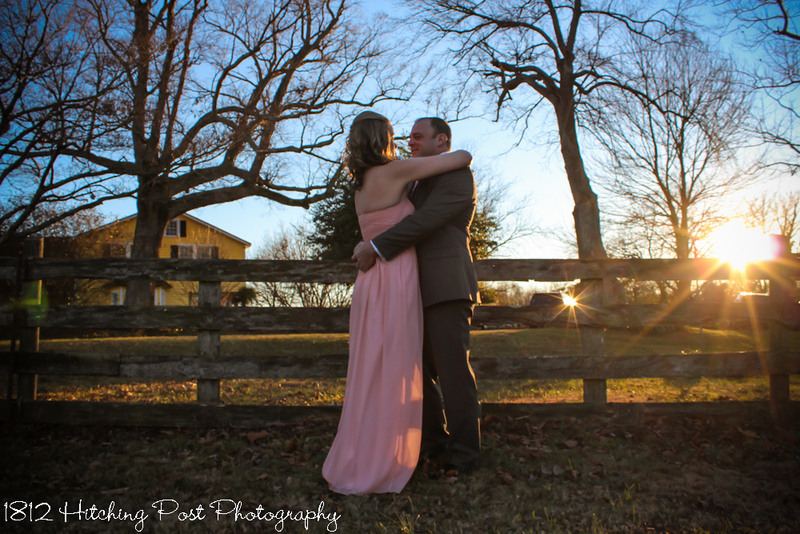 “Winter” weddings at the 1812 Hitching Post are from the middle of November through the middle of March. 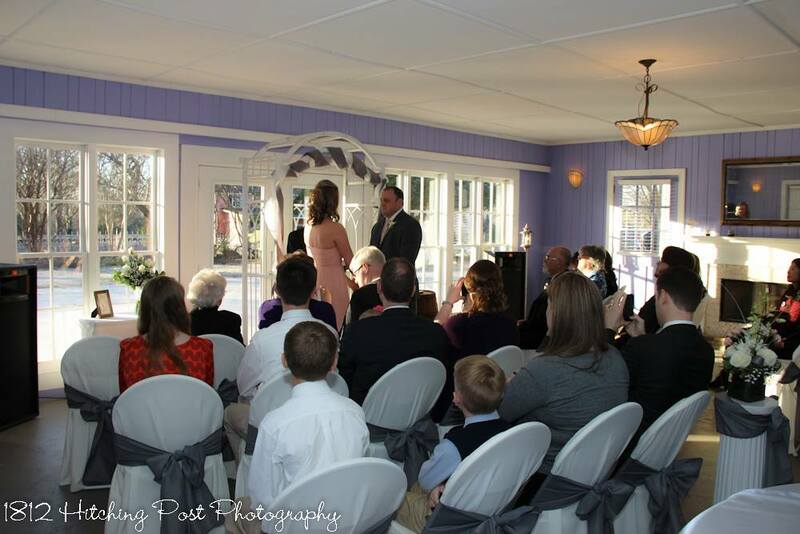 Our Wisteria Room can be the beautiful backdrop for your ceremony for up to 50 guests. 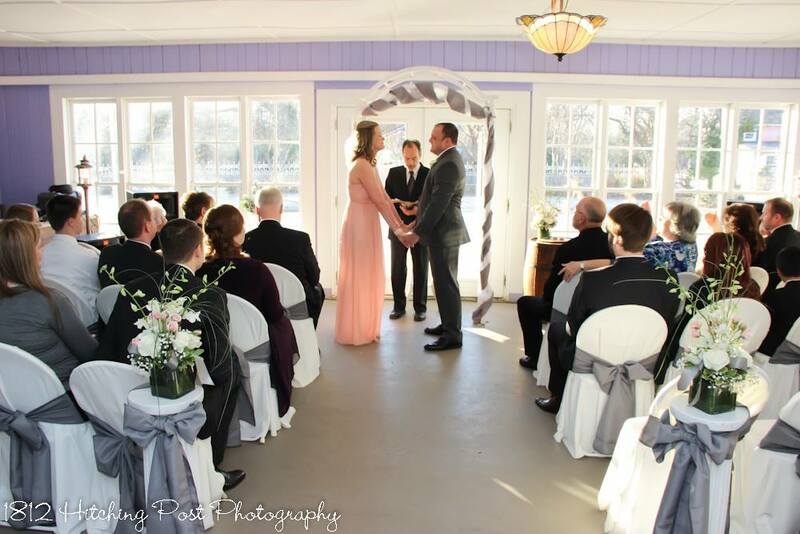 We can decorate an arbor for you or you may choose to have your ceremony in front of the fireplace. 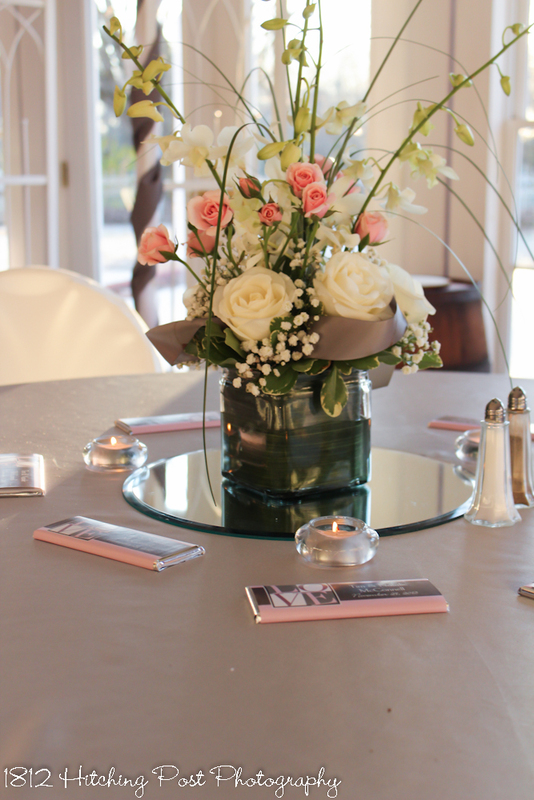 If you also have a reception, we will reset the space with tables while you and your guests are mingling in the other rooms of the house. Below are photos of Natalie and Tim’s wedding held at the end of November. What a wonderful time of year to get family and friends together!